Full-scale sound and vision to revitalise your life. Here's a budget-friendly AV receiver with the core power needed for 7.2.4-ch* Dolby Atmos® or DTS:X® playback at THX® Certified Select™ theatre -reference volume to enhance the jaw-dropping spectacle of 4K HDR video as it unfolds on screen. Dynamic Audio Amplification blends high current with patented noise-reduction technology to achieve fluent transients, superb detail resolution, and wide 5 Hz-100 kHz frequency response. 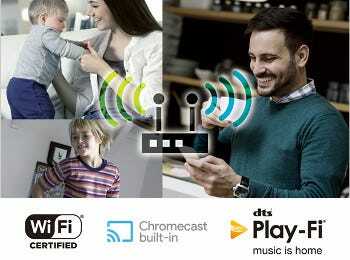 Music from any source is emotionally involving, from Hi-Res Audio to LP records to multi-room network music via Chromecast built-in, FlareConnect™, and DTS Play-Fi® technology. With 11.2-multichannel pre-outs, powered Zone 2 and powered Zone 3 speaker outputs, it's easy to configure a reliable home-theatre layout and audio distribution setup that suits you. The TX-RZ730 streamlines entertainment with future-ready HDMI® handling Dolby Vision™, HLG, and HDR10 formats. Premium AccuEQ Advance room-acoustic calibration with multi-point measurement ensures balanced sound. Just relax and soak up the magic only an Onkyo can deliver. * Requires outboard stereo power amplifier. Best-in-class movie realism with THX® Certified Select™. THX Ltd. was founded by legendary filmmaker George Lucas to improve the entertainment experience at commercial theatres and at home. To gain THX Certified Select certification, home theatre receivers must pass 2,000 severe THX laboratory bench-tests in 75 categories covering 14,000 data points to assure reference performance in every respect. With uncompromising sound-quality exceeding world-class standards, you can feel theatre sound as the filmmaker intended. Dynamic Audio Amplification delivers emotionally rich sound for real, not just on paper. Based on our high-current amplification philosophy, the design leverages accurate power stability for superior speaker control. Massive customised transformer and two custom capacitors featuring vibration-resistant coiled sleeves enable instant transient response for thrilling audio reproduction. Capacitors are connected to the power amps via high-conductivity copper bus plates, which serve as a solid and stable base for the amp circuitry. Any part not up to standard is fabricated and tested in-house. The result is pure musical dynamism that defines our sound. Vibration has a significant impact on sound. To help eliminate it, the TX-RZ730 features a thick extruded aluminium heat sink that controls the length and pitch of resonance frequencies by design. 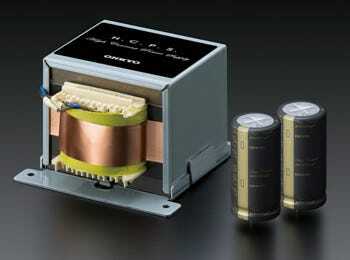 Further, the high quality of components and parts used throughout the receiver contributes to its heft. Heavy weight and high strength work with robust feet in the furthest corners of the chassis, where rigidity is highest, to virtually wipe out vibrations that cause distortion. Together, these aspects of build quality contribute to smooth high-fidelity performance. 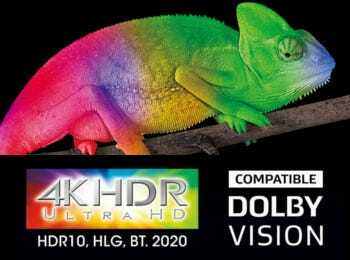 Spectacular 4K HDR with BT.2020, 4K/60 Hz, and HDCP 2.2. HDR reveals what's been missing from high-definition video with improved detail resolution in shadows and sparkling highlights as the eye sees them naturally. HDR also expands the colour gamut to about 75 percent of the visible colour spectrum. Colours are infinitely richer and more natural on HDR-compliant TVs, with smoother tonal gradation. The TX-RZ730 has seven HDMI inputs, Main Out, and Sub/Zone 2 Out to support pass-through of 4K HDR video in HDR10, HLG, and Dolby Vision™ formats. Selected inputs handle the BT.2020 4K Video Standard, 4K/60 Hz video, and unlock HDCP 2.2-protected premium content. 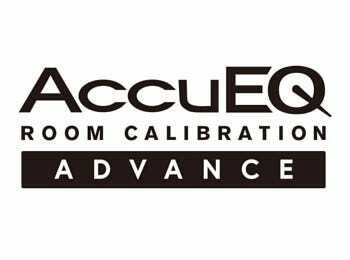 AccuEQ Advance for Accurate Calibration. AccuEQ sets speaker distance, SP level, and crossover. In addition, AccuEQ Advance employs multi-point measurement to remove standing waves from your listening space, which compromise audio quality and bass response. The technology also detects and compensates for background noise, such as the hum from an HVAC, to ensure accurate equalisation. Freedom to tailor your entertainment lifestyle. With 9.2 channels of amplification to play with, you can choose a home entertainment layout that maximises enjoyment of daily life. 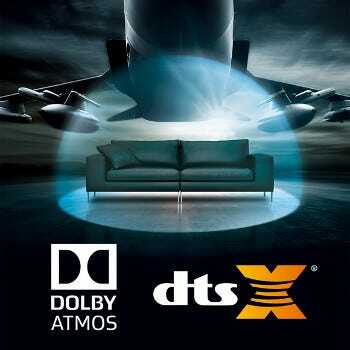 Get the full Dolby Atmos® and DTS:X® experience through a 5.2.4-ch or 7.2.2-ch layout; distribute amplified stereo signals to pairs of speakers in Zone 2 and Zone 3 with a 5.2-ch surround-sound setup in the main room; or select a 5.2.2-ch speaker layout in the theatre room with powered audio for Zone 2 - just add speakers and use Onkyo Controller to control playback from anywhere. 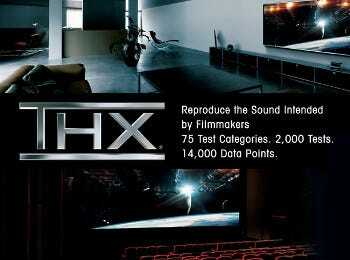 Dolby Atmos® and DTS:X® at up to 7.2.4 channels. Enjoy state-of-the-art Dolby Atmos and DTS:X movie and game soundtracks through 7.2.4 channels with a stereo amp connected via 11.2-multichannel pre-outs. Get more seamless coverage through a 7.2.2 or 5.2.4 channel layout. Be at the center of the movie with complete top-to-bottom, side-to-side, and front-back coverage provided by in-ceiling speakers and floor-standers. Individual sounds aren't tied to channels and move naturally around your audience. Furthermore, cross-compatible Dolby Surround and DTS Neural:X™ upmixing solutions can remap legacy soundtracks encoded on DVD, Blu-ray Disc™, and streaming video for spatial playback through any speaker layout. A wider choice of wireless multi-room platforms with stable 5 GHz/2.4 GHz Wi-Fi® connection. Built-in Wi-Fi supports 5 GHz and 2.4 GHz frequency bands so your components can connect to the channel with the least amount of congestion. Stable connectivity delivers a more satisfying multi-room experience on your choice of network audio platform. The TX-RZ730 features DTS Play-Fi® technology to share high-quality music from connected online services, media servers, and your device library to any number of compatible products using the Onkyo Music Control App for iPad, iPhone, and Android™ smartphones/tablets. DTS Play-Fi technology easily synchronises music playback in every room. With Chromecast built-in, you can stream any music from your smartphone, laptop, or PC to the TX-RZ730 and other supported components via Chromecast-enabled apps you know and love from your iPhone, iPad, Android phone or tablet, Mac or Windows laptop, or Chromebook™. Welcome your new A/V receiver into the Sonos Home Sound System family - just pair it with a Sonos Connect and let Onkyo sound join the party. "Works with Sonos" means a product is designed to fit seamlessly into the Sonos ecosystem, and will wake from standby, switch inputs, and commence playback at your desired volume whenever selected from the Sonos app. Just by adding a Sonos Connect, you upgrade the streaming capabilities of your Onkyo home theatre, and thanks to RCA and optical/coaxial digital audio outputs, both setup flexibility and sound quality are outstanding. The Sonos app, meanwhile, gathers all your favourite streaming sources into one beautiful interface so you can orchestrate entertainment all over the home. 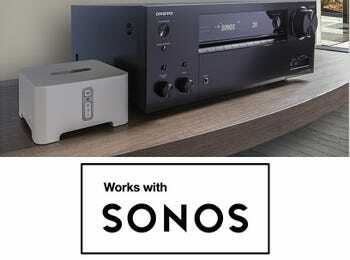 Even guests can join in by installing the Sonos app on their devices. * Note: Requires a free firmware update. Sonos Connect sold separately (includes RCA cable). Sonos app is available free from App Store or Google Play. 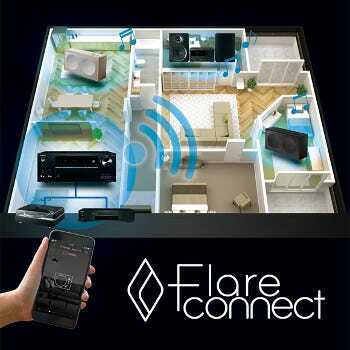 FlareConnect™ technology expands enjoyment of music. FlareConnect shares audio from network and external audio input sources between supported components. 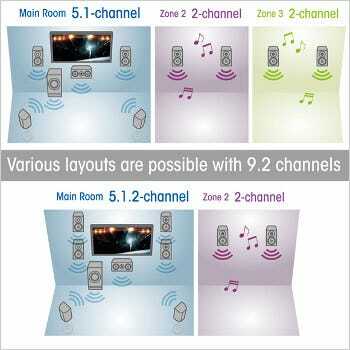 Connect your audio systems to Wi-Fi to enjoy high-quality reproduction of music stored on mobiles using Onkyo Controller app on single or grouped speakers. Relax with a huge variety of music via streaming services and internet radio channels. You can also play from any component's external audio inputs. Your favourite tunes, even LPs, can be mirrored on speakers in other rooms. Music selection, speaker grouping, and playback are built into the Onkyo Controller app. Pure Audio Mode shows the soul of your music. 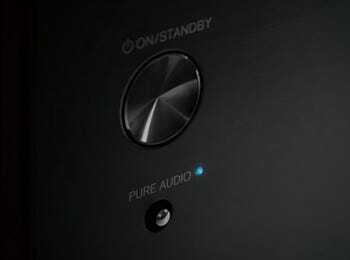 Enjoy the personality of your Front L/R loudspeakers in Pure Audio Mode, a selectable playback environment that's designed to preserve original signal integrity by shutting down sources of potential interference. Pure Audio Mode complements the TX-RZ730's short-signal-path design by powering-off all non-essential circuitry, such as the front-panel display and analogue video circuitry, to reduce interference and enable pristine reproduction of audio sources including LPs, CDs, and Hi-Res Audio. Enrich life with a wider choice of music streaming services, internet radio, audiobooks, and more. 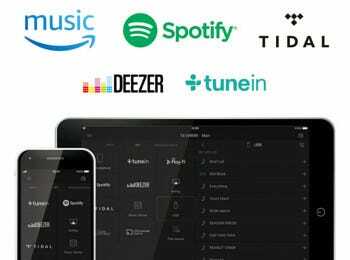 Amazon Music can be easily accessed via Onkyo Music Control App, and TIDAL, TuneIn, Deezer, and Spotify with Onkyo Controller (note a service subscription may be required). Install the Onkyo apps on iPhone or Android™ devices to perform different operations, such as switching inputs, selecting music, and controlling volume. The remote app also lets you cue and play music in Zone 2. You can play the same source in both rooms or different sources in each. Network Standby powers up the sleeping receiver for playback using the remote app. Visit App Store or Google Play to download free. 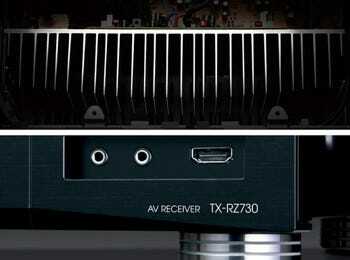 *1 Front HDMI input does not support 4K/60Hz/RGB/4:4:4/4:2:2. *2 Sub/Zone 2 HDMI does not support ARC or CEC. *4 Audio via HDMI inputs and S/PDIF audio not supported in Zone 3. *5 Visit App Store or the Google Play Store to check device and OS requirements and download free. *7 Converted to PCM. Playback not guaranteed via wireless LAN. *8 Playback not guaranteed via wireless LAN. Supported sampling rate via wireless LAN depends on network environment. *9 Playback not guaranteed via wireless LAN. 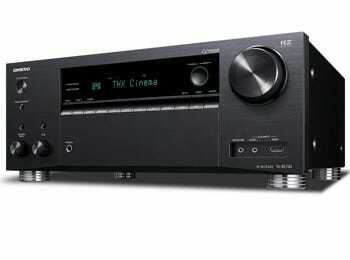 All Onkyo Receivers and Amplifiers include a massive 3 Year Australian warranty so you can buy with confidence. Selby Acoustics is an Onkyo Authorised Internet Dealer. To ensure you are protected by an Australian warranty, buy only from authorised dealers. To receive notifications of updates for your product, you can register your Onkyo product with Ambertech (Onkyo's Australian distributor).